Can I Qualify for Disability Benefits if I am experiencing Hearing Impairment / Deafness? 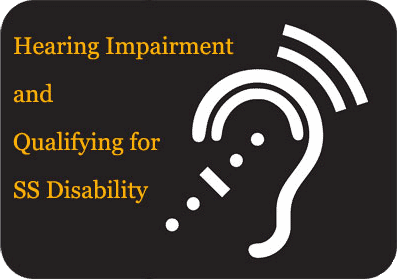 Hearing impairment or deafness may qualify you for ss disability benefits. An experienced SS disability lawyer explains what it takes to be eligible. About 1% of people on Social Security are receiving benefits because of their hearing loss. Social Security Disability Insurance benefits are granted on an applicant’s ability to work. It is obvious how hearing loss could make some jobs impossible or dangerous. About 1% of people on Social Security are receiving benefits because of their hearing loss. The Social Security Administration’s test for hearing loss is very objective. The test for hearing loss is called Speech Reception Threshold testing. During the test, the patient is asked to repeat two-syllable words he hears in headphones. Pure tone air conduction and bone conduction are tested by playing the words at different pitches. Pure tone air conduction measures hearing from the outer ear, while bone conduction measures hearing from the inner ear. Using these forms of testing in conjunction can help determine the source of the hearing loss. In order to be eligible for Social Security Disability Insurance benefits, the applicant must not be able to hear the air conduction test at under 90 decibels or the bone conduction test at under 60 decibels. If the applicant recognizes less than 40% of the words overall, they may be eligible for benefits. Hearing loss is usually effectively treated with a relatively new technology known as cochlear implants. Getting Cochlear implants can be expensive, but they will qualify an individual for a year of Social Security Disability benefits. Additionally, applicants should be aware that Medicare offered by Social Security will most likely cover the high cost of the Cochlear implants. Cochlear implants are an electronic device that replaces the damaged parts of the ear and provides sound signals to the brain. Traditional hearing aids simply amplify sound. This new technology actually replicates the functions of the ear. However, the surgery can be very expensive and is only used in cases of extreme hearing loss. Hearing loss is extremely common, with nearly 37 million Americans reporting some hearing damage. It can be caused by injury or disease, but is most often part of the normal aging process. Roughly a third of the population will experience some kind of hearing loss between the ages of 65 and 74. This hearing loss was long thought to occur due to age-related degeneration and loss of elasticity in the inner ear. However, there is evidence to suggest that hearing loss may be caused by long term noise exposure because individuals in pre-industrial societies are less likely to experience hearing loss with age. Today, most doctors believe it is a combination of age-related and environmental factors that contribute to hearing loss in old age. Contact the SS Disability lawyers at 512-454-4000 for a free consultation and see if you can get disability benefits for Deafness. Because the test for hearing loss is so objective, it can be difficult to appeal a claim based on hearing loss. However, if the hearing loss prevents the applicant from working, they may still be eligible for benefits. Social Security Disability Insurance and Long Term Disability Insurance deny most initial claims. . Having professional representation can go a long way towards proving your hearing loss claim. 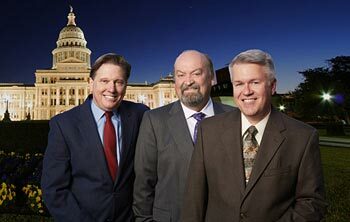 The attorneys of Bemis, Roach and Reed service central Texas, including Austin, Houston, Dallas, and Fort Worth. 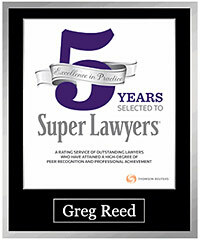 Our attorneys have been helping disabled Texans win the benefits they need since 1993. Call today for a free consultation. Call 512-454-4000 and get help NOW.